WASHINGTON — Honda, in addition to other Japanese automakers, have recalled up to 3 million cars with issues with potentially explosive air bags in their vehicles. The recall comes on the heels of a major General Motors (GM) recall that has the American company in hot water with U.S. Congress. Reuters reported that the air bags, supplied by the Takata Corporation, led to the recall and brings the total of recalled vehicles to 10.5 million the past five years. It is among the five largest recalls in the automobile industry, and was at the request of the U.S. National Highway Traffic Safety Administration. This recall was called a “field action” and took place in high humidity areas of the United States. Nissan, Mazda, Ford, Toyota, Chrysler and BMW are conducting individual and separate recalls of their vehicles, which have the Takata air bag inflators, in states like Florida, Hawaii and the territories of Puerto Rico and Virgin Islands. 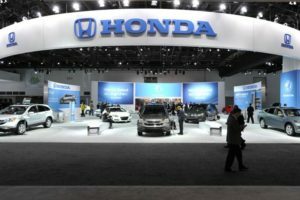 Honda is recalling vehicles in Alabama, Georgia, Louisiana, Mississippi, South Carolina and Texas. This recall guards against what GM is undergoing, which are accusations of a cover-up with e-mails exposing potential burying of recall concerns by management.